Happy Thursday, everyone!! 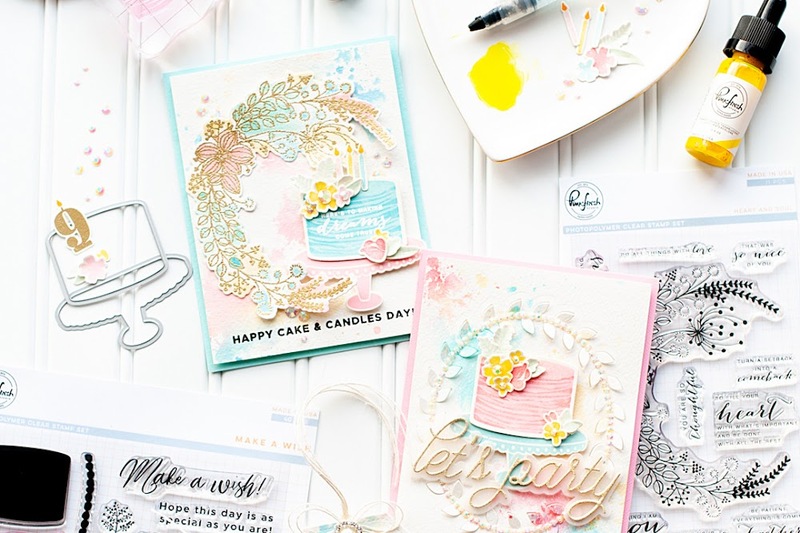 Well, we have exciting things going on at Glitz Design right now....and one of them is the creation of a monthly blog hop! Today the entire design team is showcasing some lovely projects featuring the Color Me Happy collection! To finish out the month of February, I have created a super sweet love card for my blog post today! But let's face it....it isn't very often that my cards aren't love themed in some way, shape or form....so just go with it! And of course....a blog hop isn't a blog hop without a list of blogs to completely inspire you to want to create something, like...right now! Tee hee! Here is the blog hop order! So- what is a blog hop without a prize, huh? Glitz Design will randomly be picking one comment from one of the blogs above to win a Color Me Happy prize package!! So, the more blogs you comment on...the higher your chance of winning! But please....only one comment per blog!! I also have a little Glitz Design prize that I will send to one lucky commenter from my blog comments...the prize consists of some washi tape rolls from the last release, and some fabulous Cashmere Dame embellishments as well!! I will announce a winner on Sunday at some point....so you have until then to leave a comment! And if you want to become a follower of my blog, I would love that! But it isn't a requirement by any means! Your next stop is Audrey's blog on the list above....so get to hopping! 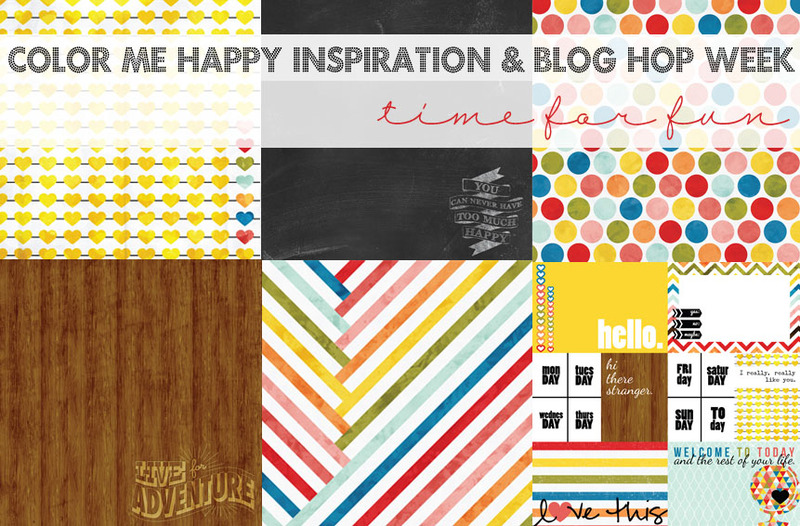 I hope that you've enjoyed my Color Me Happy project today! I love this collection! it's so bright and positive. Very cute banner. what a cute card...I really love the saying! wow !!! love your card !! It's a wonderful collection !!! thanks for this chance to win !! This just makes me happy, happy, happy! Love it! I just discovered Glitz (where have I been? lol) and I just love their stuff! Love the sentiment on your card! So cute and fun...perfect with your design and this collection!! your card is so cute. I love your use of layers to and the way the jewels made it pop. Your card looks fun and bright. Love Those hearts. Adorable card..thanks for the chance to win such fun goodies! oh my! Such an adorable card! I just love those yellow hearts! Thanks for the chance! Oh wow. Im digging this collection. Always lives Glitz but this time they have such a funky and awesome collection! Love the cards. Very different. Beautiful card!! I love this collection! Love how you used the giant rhinestones on the banner, such a cute card!!! I love this collection! And that card is adorable!!! What an adorable card for a teenager. And a nice touch with bling. So cute, love your sentiment! Awesome card!! Love the layers and the sentiment! Another great collection from glitz! What a gorgeous card - love it!!! The tabs on the left of your card look so cute. I love it! Your card is so cute - whimsical but bright and cheerful. Great job. 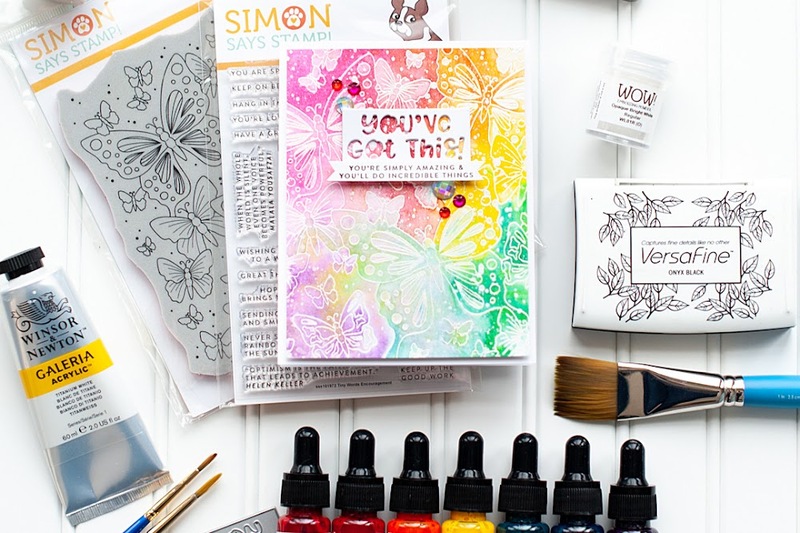 How sweet to add on your own giveaway and I just adore the card - hearts are a weakness in my designs! Beautiful card!!! And I am sooooooooooooo in love with this collection!!! Beautiful card! I'm a new follower as well. Thanks for the chance to win! That is one incredibly cute card! Would cheer anyone's day up! I really really really like your card! the colours are so fun! Super fun and vibrant card! Love it! Great giveaway! Beautiful card! Love the bright colors!!! Wow, what an amazing card! You never cease to amaze me with your gorgeous work. Lovely card Leah. love how you placed the rhinestones! super cute card!!!!! your cards are always stunning!!!!! What a fun card! I love the materials you used! Great card and collection...fun and colorful! I really really like your card! What a fun prize pack lovin' Cashmere dame clear cuts! Love your cards, love Glitz and would love to win! he-he-he! Thank you for the chance! Beautiful, cheery card!! love it! That is the cutest card I have seen in a long time! This is an adorable card. Thanks for the giveaway also! What a FABULOUS card! LOVE all the bright fun colors and patterns!!! I love your card, really cute! Thanks for the chance to win. This card is so lovely! I love the way you used the circle banner, and the stamp is fab too! Love the design of your card! Thanks for the chance! This is awesome!!! Your designs are always so eye-catching! A-Mazing as always Lea! Love your card! And what a fun RAK..love that washi tape! love this card, lea! you add just the right details and use the colors fabulously! Wow!! I love all those bright details in your card! As for your prize package, my fingers are crossed! I love it!!! 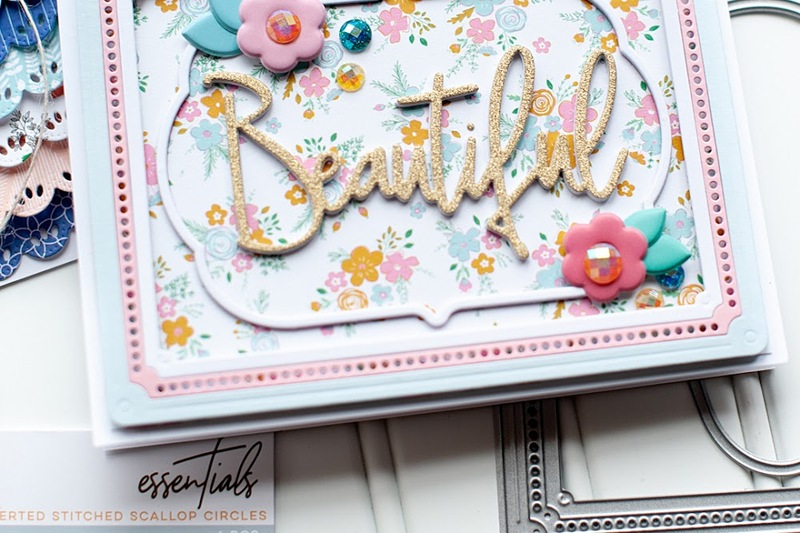 Super cutecard ...love how you used the product!!! Love your fun and colorful card!! I love this line! Love how you used all 3 tapes on your card! Do you need my address ? I love how fun this card is! beautiful card,i love it the colours just pop..
Great card! I love all the hearts! Super sweet little card. Thanks so much for the chance at a great scrappy rak. Lucky girl to get to play with all those Glitz goodies. Super cute card! You do such nice work! What a cute card and the sentiments made me smile. Good job on this! Lea, I've just wandered through your blogs, and they're amazing! Love your cards, love your photography! You are one talented lady. :-) This card makes me smile! Love the design of your card! Thanks for the chance to win this collection ! very cute card, best wishes. Love the card. The stamped sentiments are perfect.! beautiful card.I love the colors.Thanks for sharing. wow what an awesome and fun card! I love the added bling and the sentiment! LOVE LOVE LOVE the rows of Yellow Hearts! "You can Never Have too Much Happy" (Glitz Design) - This will be the theme for my next scrapbook - Thanks for the affirmation! Those "banners" - are those the peek-a-boo transparencies? What a great product and I love how you added the mega bling! Such a CUTE card !!! I love it !! Great collection, love the yellows in it! I really, really like your card! Wow, this card is amazing!! So much fun packed into one project!! this collection has great colour! nice cards. What a great card - love the garland. Your project is so cute. I love all of the layers and your style. Super cute card! I love this line!! What a fun and happy card. Love it!! Love the card and the sparkle. I love the hole color me Happy line!!!. So, so fun and playful! Love it, Lea! Thanks for the chance to win!! great prize! What a fun card! Love the little banners and that big blue "jewel"!